The Angle Lake Transit Station and Plaza is a seven-acre, 400,000-square-foot mixed-use complex for Sound Transit, a public transit agency serving the Seattle metropolitan area. The project was awarded to Los Angeles–based architecture firm Brooks + Scarpa after an international design-build competition was held. It was completed earlier this year. With over 4,000 people living within a one-half-mile radius of the station, the project offers community-focused exterior and interior spaces such as specially designed drop-off areas, retail spaces, bike storage facilities, and electric vehicle charging stations. 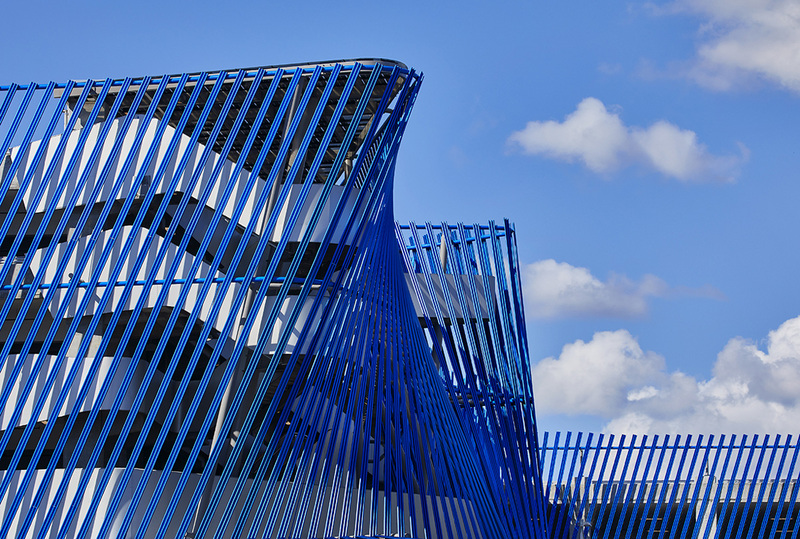 The transit hub is a seven-story, cast-in-place and post-tensioned concrete structure with an exterior facade that uses over 7,500 custom-formed blue anodized aluminum facade panels. 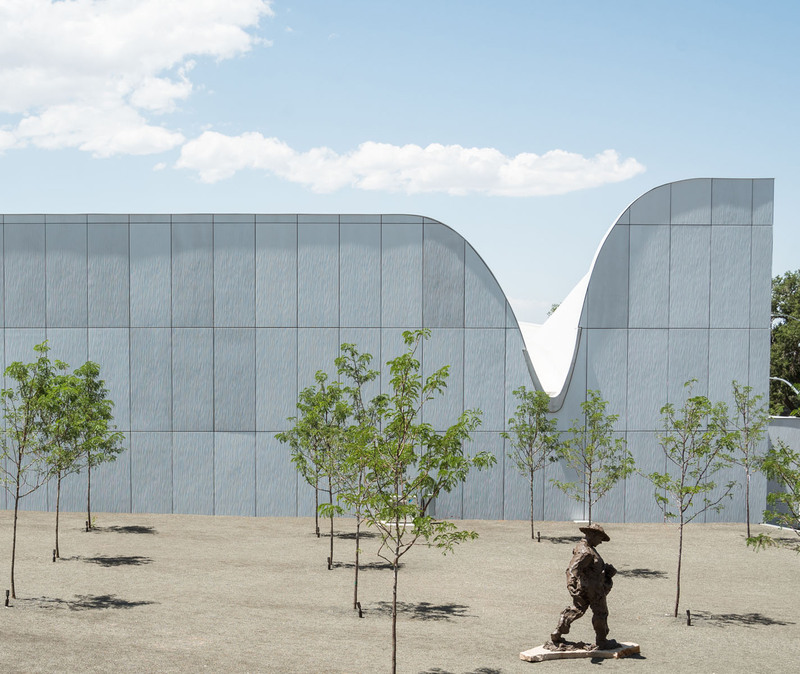 Using ruled surface geometry, the undulating facade is formed by connecting two curves with a series of straight lines to form the surface of the facade. Each of the custom aluminum facade elements was designed and segmented into standardized sizes for the most efficient structural shape and material form, while maximizing production, fabrication and installation cost efficiency. This technique allowed the design team to work with complex curved forms and rationalize them into simple, cost-effective standardized components, making them easy to fabricate and efficient to install. The entire facade was installed in less than three weeks without the use of cranes or special equipment. 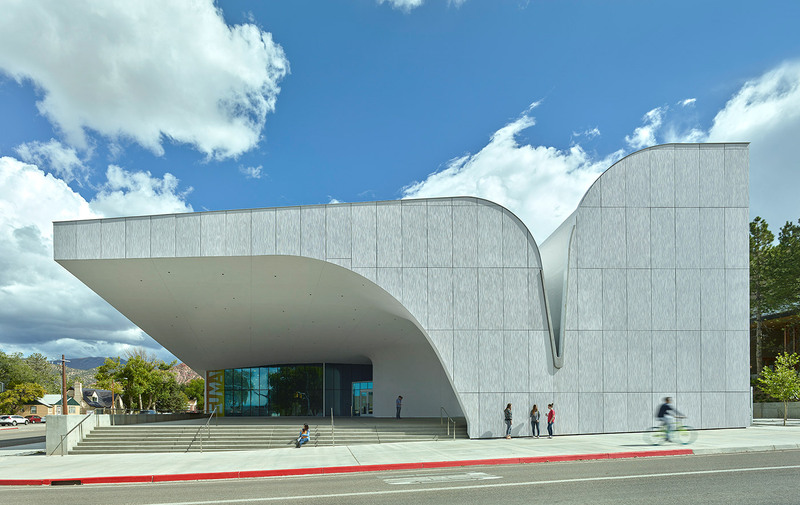 The architects say the facade concept was inspired by William Forsythe’s improvisational piece, ‘Dance Geometry,’ where dancers connect their bodies by matching lines in space that could be bent, tossed or otherwise distorted. Translating this into construction, the architects explored how simple straight lines can be composed to produce implied curvature. “This idea lessens the need to think about the end result and focus more on discovering new ways of movement and transformations.” Ultimately, Brooks + Scarpa provided analysis, constructability, and digital documents for direct and automated fabrication. Working from the assumption that automated fabrication techniques would not be utilized in the project, one of the challenges of the project was to develop a workflow that would result in constructable, rationalized geometry. To achieve this, the project team worked closely with fabricators to translate digital ruled surfaces into segmented standardized sizes responsive to material requirements and fabrication efficiency. 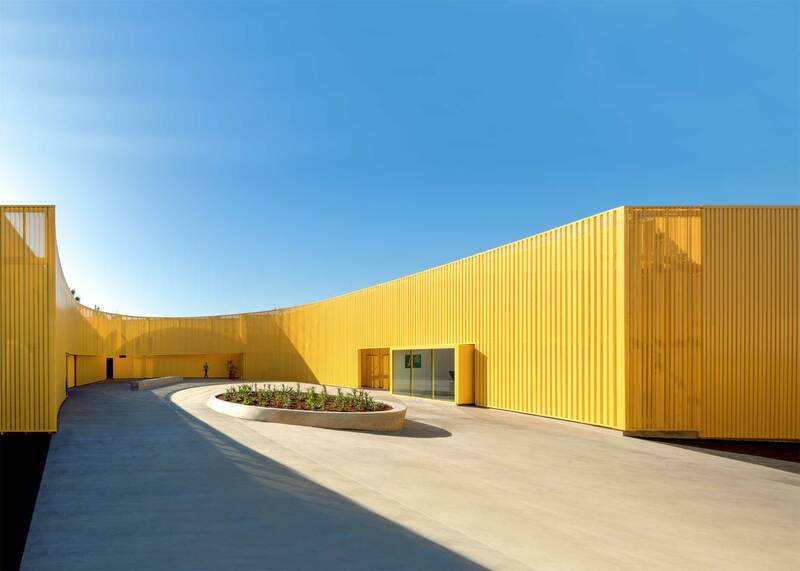 The bottom and top chords of the facade surface were segmented, which reduced their profile to measurable arcs for a pipe roller, or straight-line segments for standardized shapes. Beyond the facade, Brooks Scarpa’s plaza design caters both to transit users and the community at large by accommodating community events, such as festivals, farmers’ markets, art exhibits, and other outdoor public gatherings. Ornately designed seat walls, pathways, paving, native planting, and storm-water catchment features help to engage transit users as they move through the space, creating quiet places for social interaction while waiting for a transit connection. Beyond this plaza, the parking structure is designed to best practice standards for future adaptive reuse. 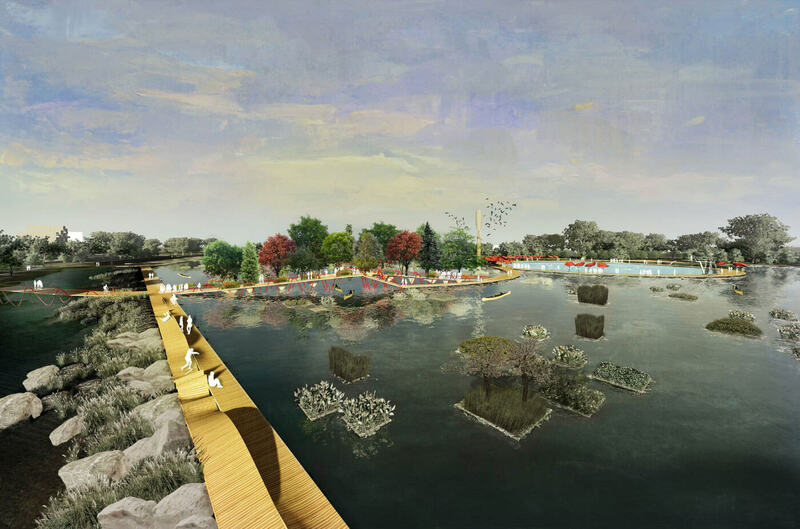 These design features, along with specific energy-efficient materials and systems, allowed Angle Lake Transit Station and Plaza to be an Envision-certified sustainable mixed-use facility. Envision is a rating system similar to LEED, administered by the Institute for Sustainable Infrastructure for infrastructure projects. 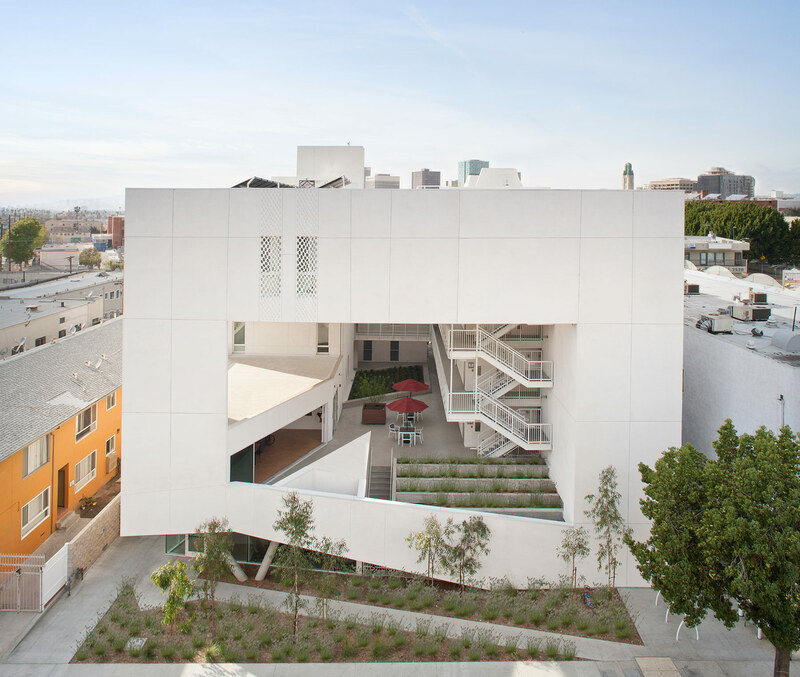 The new 52-unit permanent supportive-housing project for formerly homeless individuals, many of them veterans, designed by Los Angeles firm Brooks + Scarpa, takes its name—The Six—from military slang for a person who “has your back.” The project is Skid Row Housing Trust (SRHT)’s first outside Downtown Los Angeles, and it continues the organization’s very successful run developing functional, neighborhood-scale, and formally transformative housing. In a careful exercise of balancing transparency and security, Brooks + Scarpa’s design lives up to sentiment “I’ve got your back” by achieving a comfortable clarity in volumes that open up and lift residents above the street and neighborhood, simultaneously providing a sense of security and privacy. 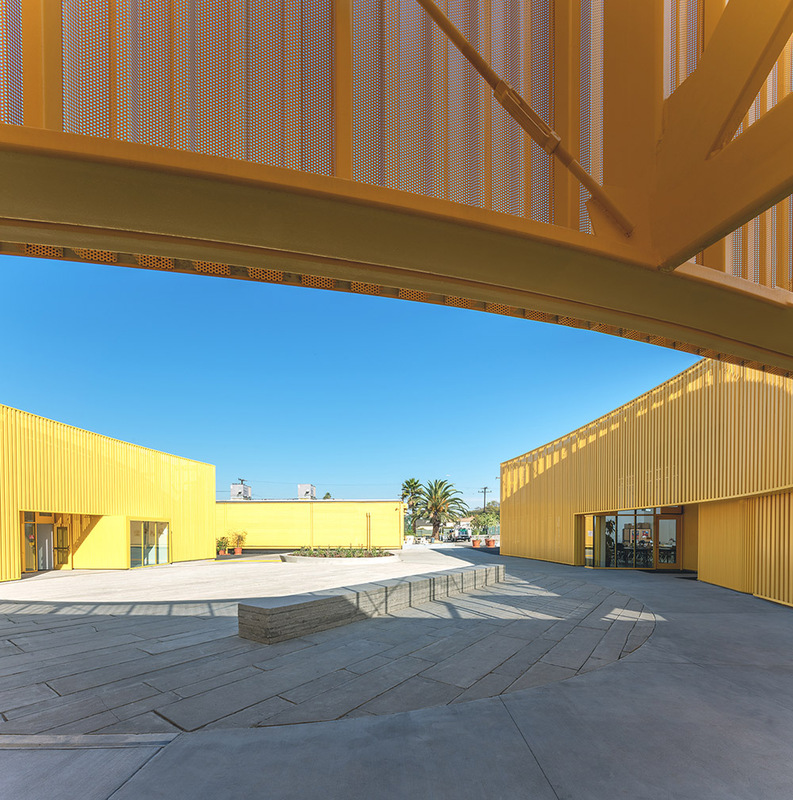 When arriving at The Six, one cuts across the front yard—past planted, open areas set back from the street—landing under an expansive overhang that encloses a security entrance and a community- and computer-room cluster. Next, one transitions into a smaller space: a lobby that shares the floor with administrative offices, a conference room, a public computer lab, and parking. The second level, accessible by an elevator from the entry or via a concealed front stair, reveals the large public courtyard perched above the street. From the courtyard level, the apartments and their circulation balconies stack up in a “U” formation four levels above, defining the supertall, breezy space within. Also on this level, a TV room with couches, laundry facilities, and a small kitchen fills out the public common areas. 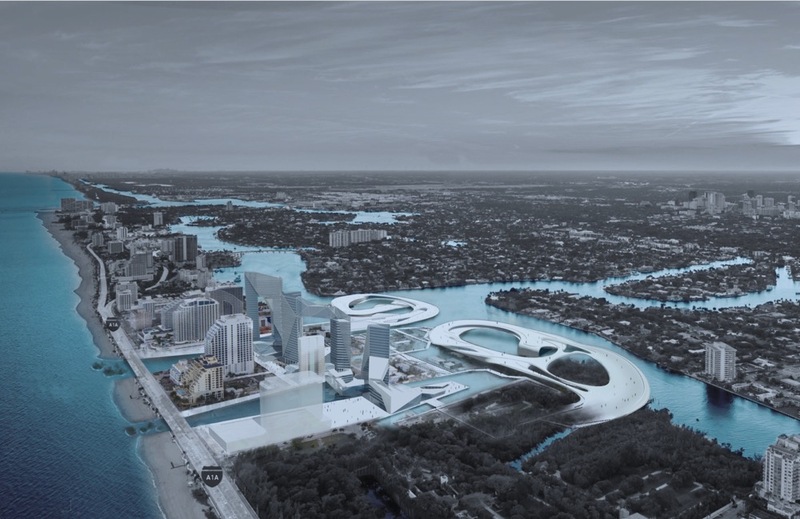 The building’s fundamental volumetric and formal gestures simultaneously work with its site orientation to maximize daylighting, exposure to prevailing winds, and natural ventilation. The areas that can be seen from the outside are the most public of the common spaces offered to residents in the project, and their placement at the front—in the window seat—allows for a shared, privileged relationship to the street and suggests a powerful shift in dependence for the folks living at The Six. It’s this simple and thoughtful implementation of careful and confident architecture that gives The Six its strong humanity of place. 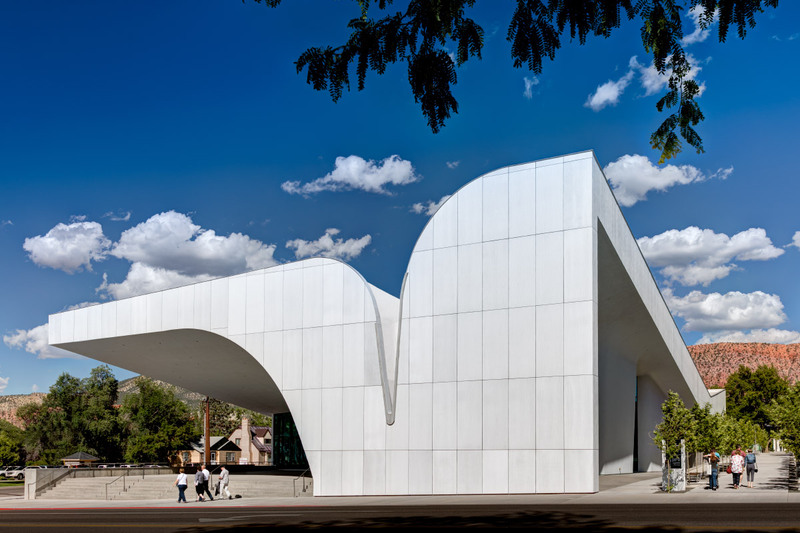 It’s a rare experience in Los Angeles, where the development process and its built manifestations typically find design opportunities in disposable surface treatments or hollow stylistic flourishes. 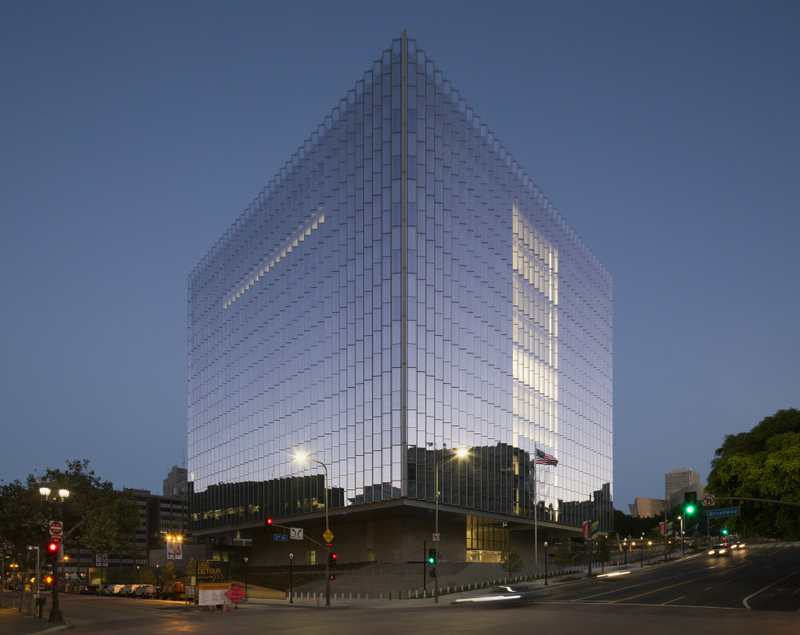 With SRHT’s dedication to quality projects and real architecture, the organization will likely achieve more breakout projects in the near future thanks to the recent passage of initiatives, at the county and city level, that allocate resources toward preventing and ending homelessness. 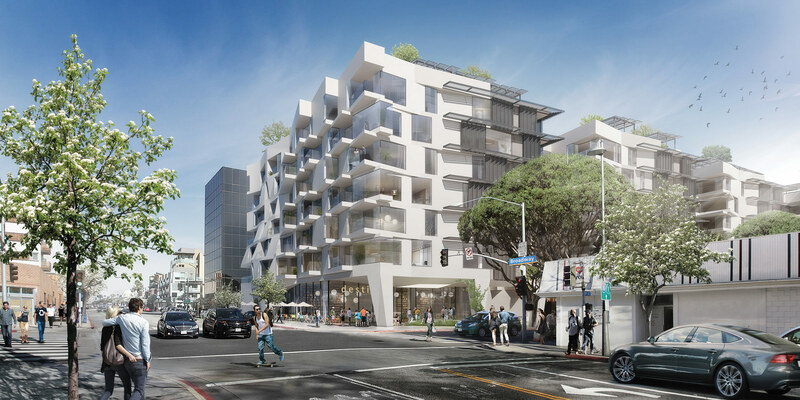 If The Six can be a precedent moving forward, it’s likely SRHT will continue to provide L.A. more like-minded projects that are much more than a roof overhead.